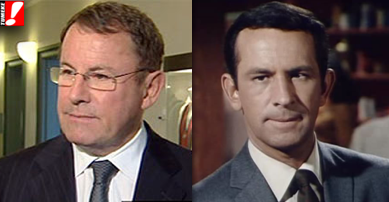 The Auckland mayoral contest begins. It's a straight-out right-left competition. Before the ink is even dry on the final bill, before the select committee has even reported back, the Auckland Council shape is formed enough for the two leading contenders to have announced their candidacies. The National/Act candidate who will run as an independent, and the Labour/Greens candidate who will run as an independent. John Banks is the known factor. He's an uptight right winger: the angry guy listening to talkhate radio in the traffic, muttering racist obscenities as he nods in agreement with Leighton Smith and pushes his mobile petrol tank into the front of the queue. To 50%+ of the electorate he is a Maxwell Smart figure - a staccato-speaking imbecile in a suit a size too small who thinks he knows everything, pisses everyone off and then takes the credit for their work. However he has seemingly learnt the art of keeping his mouth shut in recent years and this has helped the public forget these liabilities. But Banks only has to make it to about 35% in a first-past-the-post (single tick) system that we use now to elect the mayor. On a two preference system like they use in London for a first and second choice Banks would most likely lose - so don't expect the Tories to back that improvement. The last thing they would want is a moderate right or moderate left candidate winning as a compromise - they want Banks, or someone like Banks to control the agenda even if the "executive" powers mooted for the position may be weaker than first envisaged and may come back to setting agendas and budget proposition when the final Bill goes through. So since Banks would likely have a maximum ceiling of around 40% he can only hope to win in an FPP system. 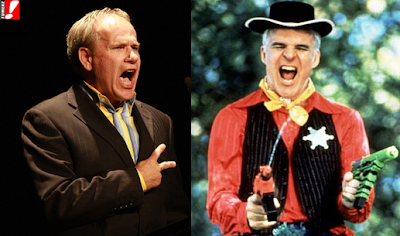 Len Brown's tepid reception from the inner suburb lefties and those Auckland City councillors back in April when he addressed them at an informal "Drinking Liberally" session is echoed by many outside of that clique. People think he's a bit of a drip, a try-hard for his down with the kids schtick. But he's untainted - and that may be his core electoral attribute: the unknown factor. Len Brown has a clean slate - at least with the million people of Auckland who live outside the boundaries of the Manukau City Council. He will form his public persona through the media in the next year leading up to the first election and it will be a path of fumbles and fights on which he will be scored by the media. But through it all he must retain that sense of decency that people have observed - it is his strongest card in an increasingly multi-ethnic, multi-cultural city. [UPDATE-- 4:20PM: Len Brown's website (via: DPF who reminds us of Brown's Labour party membership and tries to define the lead issue as rates). Brown will try to make the issue transport - and public transport in particular if the Q+A interview yesterday was anything to go by. Rates and the implementation of a unitary system for the new Council where winners and losers will be decided will energise the property owning middle classes primarily, but transport cuts across the interests of every voter in Auckland and will be more tangible than the nuances and nomenclature of rating values. Completing the work to build fully integrated transport system linking our roads, rail, airports and shipping ports, with a significant upgrade of public transport. Supporting the business community through the development of high-speed broadband, better regulations, greater support for tourism and events, and a much greater focus on the export sector and business development. Public ownership of assets is crucial to our long-term economic growth. Maintaining our interests in the airport, port and water are crucial to developing those assets for the benefit of all of Auckland. Building on the significant work led by Waitakere, and picked up by the other cities. Sustainability must be central to the new city. We are holding your rates increases at or below council audited inflation, or 2.0% for 2009, which is a big improvement for you over the previous council’s plans to raise rates by double digit amounts. The council I lead is focused on fiscal correctness, not political correctness. We are scaling back many projects of the last council which were poor quality spending and not core council responsibilities. 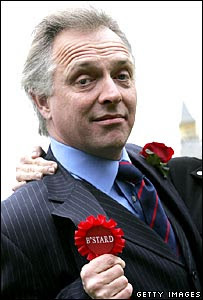 Old Tory Conservative Red-neck petrol-head. He's trying hard to be nice nowadays. I thought comments were moderated (see above). Re John Banks, he is straight laced as they come and he will get the central Auckland vote on balance. I would suspect Len should clean up in Manukau. Hes not been bad, and they do have a habbit of keeping their Mayors unlike auckland central (Barry was in for how long?). The Howick area will likely vote for Banks, but that isnt the populous area at the moment, the key will be getting people out to vote, which is generally hard in local elections. So assuming a decent voter turn out it will be decided by West Aucks and the North Shore, and both are areas which are particulaly concerned about the Supercity, so not entirely sure where their vote will go. 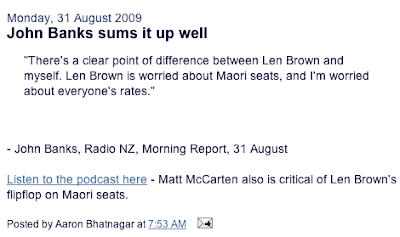 The thing going against Len is he is not that well known at least on the shore, and I suspect out Waitakere / West ways. Banks has name appeal to some. I do think that Rates will be a big issue though, homeowners are feeling allot poorer at the moment. The key accordingly will be to sell capital projects like public transport to at least a portion of home owners and really try and pick up a large portion of flatters. The thing I suspect however is a greater % of homeowners will vote. 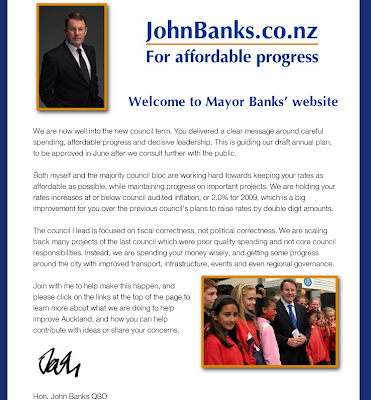 "A majority of people doubt that the polarising and bigoted figure of John Banks would be acceptable as mayor. " So why has Banks been voted in as mayor TWICE? ""Affordable progress" - a meh shade of grey. As boring as possible. " I remember the last mayor of North Shore City telling pensioners is response to their concern that rates were increasing too rapidly, to move somewhere else. As I recall they told him to move on. The key accordingly will be to sell capital projects like public transport to at least a portion of home owners and really try and pick up a large portion of flatters. The thing I suspect however is a greater % of homeowners will vote. AM NOT REALLY A RATE PAYER PER SE BUT FEEL LIKE I CONTRIBUTE TO MINE AND THE LANDLORD'S RATES SIMULTANEOUSLY, HER HOUSE AND MY PLACE AS SEPARATE ENTITIES OF COURSE.The key accordingly will be to sell capital projects like public transport to at least a portion of home owners and really try and pick up a large portion of flatters. The thing I suspect however is a greater % of homeowners will vote.FLATTERS PAY TWICE! Anon 7:10pm: "So why has Banks been voted in as mayor TWICE?" - As I said with FPP he doesn't have to get to a majority 50%+, just a plurality which could be as low as 30% if the field was hotly contested from the left.